Indonesian citizen. Born in Bogor, 1952. Domiciled in Bogor. Served as the Company’s Director since June 2017. 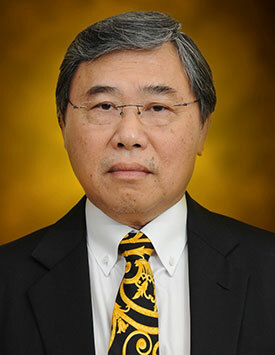 He holds a Bachelor of Economics majoring in Accounting from Tarumanegara University, Jakarta. Prior to his appointment as the Company’s Director, he had held the position as Auditor at Accounting Firm Drs. Agus Hanadi & Co. (1978-1982), Finance & Accounting Manager at PT Arcom Primantara Systems (1982-1986), Accounting Manager at PT Anugerah Pharmindo Lestari (1986-1990), Director at PT Daya Inti Megah Kusuma (1990- 1995), Controller at PT Guntur Madutama (1995-1996), Director at PT Swadaya Panduartha (1998-Current).